Confident Speaking Step 1 - Let Go of Approval! 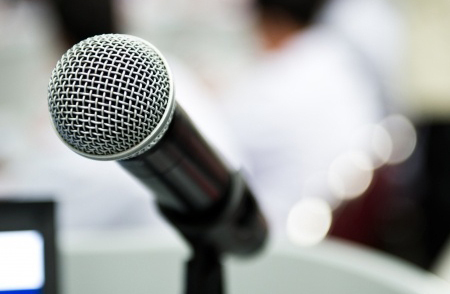 Do You Find Public Speaking Uncomfortable Or Difficult? Most people do. The most common way to deal with this is to avoid any situation where you may have to present in front of a group. Other people speak occasionally, but find the whole experience an emotionally taxing ordeal they have to endure. How does avoiding public speaking impact your work life? Your career? Your social life? 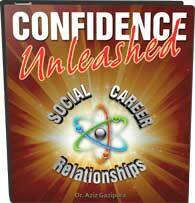 What if you could confidently and charismatically engage a group of people? For years I’ve been studying public speaking. I’ve been most interested in what makes a speaker engaging, influential, and most importantly – relatable. Over time I realized good public speaking isn’t about being 100% polished and knowing exactly what to say. It’s not about eliminating all filler words (um, ah, err), or about how to move your hands and gesticulate. All these aspects are what I’d call the “technical skills” of public speaking. Confident pubic speaking is 80% psychology and 20% technical skill. Once you understand your own psychology around public speaking, your ability to engage a group will dramatically increase. The primary fear behind public speaking is the fear of disapproval. As long as you’re focused on making sure everyone in the audience likes you, respects you, and thinks you’re smart and great, you’ll feel anxious, tense, and restricted. 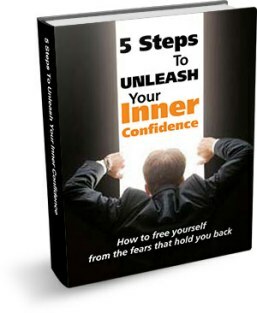 Your natural confident, engaging, charismatic self won’t be able to emerge. There are many ways to let go of approval when speaking in front of a group. One powerful technique is to consciously relax your body while reminding yourself you don’t need the approval of the audience. Before you start your presentation, or before it’s your turn to speak, take a moment to notice your breath. Deepen and slow your breathing so you’re breathing deep into your belly. With each exhale, say this phrase in your mind: What if I didn’t need anyone’s approval? Look at the people in the audience. They’re vulnerable people just like you – full of hopes, dreams, desires. They fear people disliking them, they fear not having love, they fear speaking in front of a group just like you do. If you’re having a hard time letting go, you can invite yourself to just let go 10%. With each out breath see if you can relax and let go of needing the approval of the people there by just 10%. You can still be 90% wanting it and attached to it. Sometimes people resist letting go. If I let go and don’t care what other people think or how I do, then I’ll do a lousy job! The reality is when we let go of the outcome, we actually end up doing better and getting what we want more of the time. This is the paradox of letting go. Letting go is a skill you can develop through practice. Public speaking is a challenging scenario, and you may want to practice using this technique in other situations first. This will make it more likely when you use it before speaking, it’ll be more effective. The next time you’re about to meet someone new, introduce yourself to an attractive stranger, or engaged in a conversation with someone you like, notice how you’re feeling. Are you tense or tight and wanting their approval? If so, start breathing deeper and consciously remind yourself that you don’t need this person’s approval. Its amazing.. its resolved my issue of public or someone i like. I find myself tense and now understand its because im seeking theyre approval. But not anymore..